I bought some yellow background paper and covered the bulletin board. I purchased some trim that was all different colors and blotched. 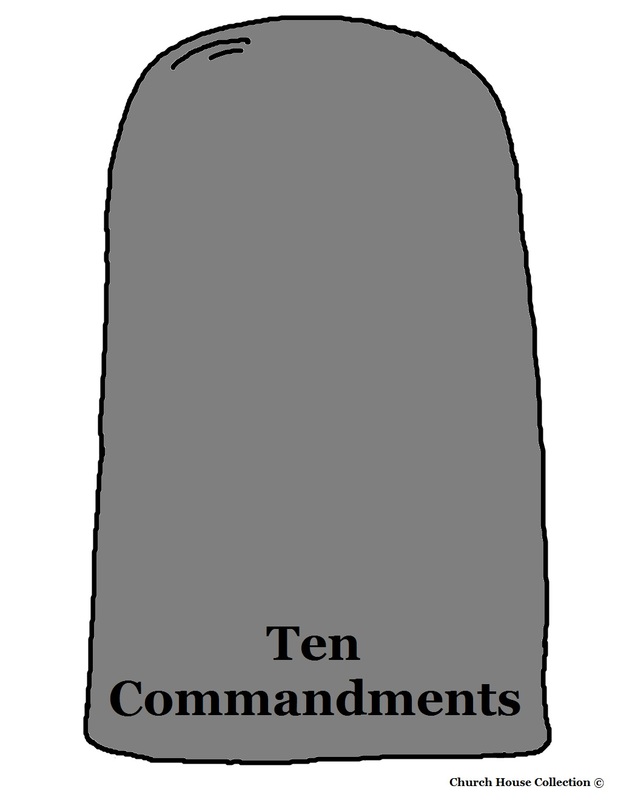 I found a ten commandments bulletin board set and put that up. You could also print the Ten Commandments Stone Tablets off and laminate them. Staple them all over your bulletin board or hang them from the ceiling by punching a hole in the top of the stone tablet and running some yarn through it. You might also try adding the picture of each child on the stone commandment and staple them all over the bulletin board. Then add some black letters that say, "We Obey God's Law".